Why do drains gurgle and clear more slowly than usual? Most of the time the drains in your home work perfectly well; water drains from sinks and the shower with no problem at all. But, there may come a time when the draining process starts to take much longer than usual or when you start to hear a gurgling noise coming from the drains. This is a sign that there is an issue with the drains in your home. If you suspect that a problem exists you need to try and resolve it as soon as possible. This type of problem does not just go away of its own accord; in fact it’s only likely to worsen. Let’s examine what causes drains to clear more slowly and gurgle. Why are your household drains taking longer to clear? If you notice that it’s taking longer for your sink or shower to drain then it’s likely there is a blockage in the drain which is making it hard for the water to pass. When this happens you may also hear a gurgling sound coming from the drain. A blockage in a household drain is the result of items being washed down the drain. If the blockage is in the drain from your kitchen sink these items will usually be oil, grease and food remains. They clog together and restrict the amount of water that can flow down the drain at any one time. This means that the sink takes longer to drain than it normally would. If the blockage is in the drain from a bathroom sink or shower then it’s caused in the same way but the items that cause it are different; they can include hair, soap and dead skin. The result is the same. As we mentioned earlier in this article, if you are experiencing problems with a blocked drain in your home you need to make sure they are resolved as quickly as possible. If you are not confident enough to try and clear the blockage yourself just click here to see how you can get assistance with the problem. If you want to try and address the problem yourself you should start by pouring boiling water down the drain. It’s important to note that you should not do this if the pipes or drains are made from plastic. If the blockage is fairly loose you may find this is all you have to do to clear it. If this solution does not work you can try using a plunger. If the blockage remains in place then you can attempt to remove it with your hand. You should be careful if you decide to do this, and you should wear protective gloves. 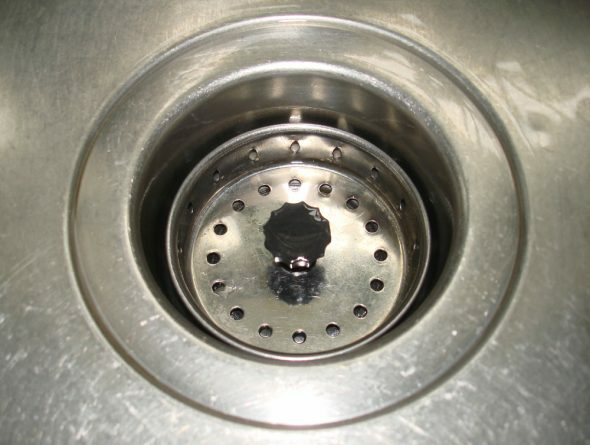 You will need to remove the drain cover and reach down the drain to remove the blockage. You may need to use a torch in order to see down the drain. You may find that you need to try a combination of these suggestions in order to successfully remove a blockage. If the problem continues then you should speak to a professional plumber who will be able to help with the issue.